There are approximately 8.1 million people who are affected and undiagnosed with diabetes and they don’t have any idea about it, this comprises about 27.8 percent of the population. On the other hand about 21 million people are already diagnosed with this disease. An infected person may show symptoms that differ from the other patient; this means that diabetes symptoms differ from one person to another. 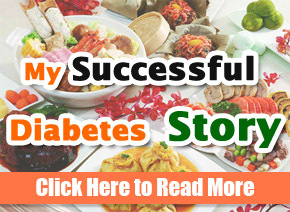 Diabetes is a manageable disease if it’s identified earlier for the betterment of your health. 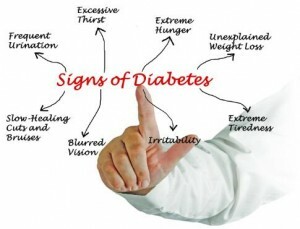 Its way better to get informed, this helps you to keep on a watch out of those signs and symptoms that define diabetes particularly if you fall under these categories. 45 years and above individuals. If pre-diabetes has ever been diagnosed on you. Consult a physician if you ever experience these common symptoms that can easily define you to be a diabetic. The earlier it is for the betterment of your health. it is linked to excessive urination. This condition of excessive thirstiness is considered as one of the early symptoms of diabetes. 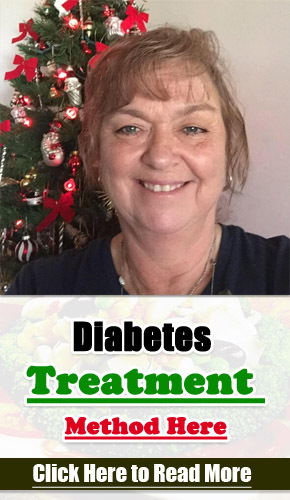 This condition is as a result of your body failing to use blood sugar and process it. When the body fails to make use of blood sugar i.e. process the glucose, then the latter gets abnormally high .the increase of blood sugar levels in your body results to thirst leading to excessive drink age of fluids. Most of the people affected by this condition term this thirst as unquenchable. Avoid drinking fluids that contain sugar e.g. soda or juice .this fluids contain high levels of sugar which will push the levels of sugar in your body higher leading to excessive thirst so as to flush out those sugars. your body needs energy to perform its functions properly. It derives its energy from sugar which comes from foods that we intake especially those foods that contain carbohydrates and proteins. Pancreases produces insulin that allows your body to utilize sugar coming from carbohydrates in the food we eat.it helps to keep your blood sugar either from getting extremely high i.e. hyperglycemia or very low. Insulin is usually defined as the key to which it unlocks cells to receive sugar and be used as energy. If you are diabetic it means that your body is not producing enough insulin for your body or your cells have developed resistant to the insulin’s effect. This makes the cells to yearn for sugar to perform their functions which leads to fatigueness. polyphagia is a term used to describe excessive hunger or increased appetite. It’s caused by blood sugar remaining abnormally higher. Sugar can’t enter the cells as a result of insulin resistance or as a result of no production of insulin at all this then trigger s hunger hormones to send impulses to the brain that tell the brain you are hungry leading to Excessive eating. With excessive eating you will skyrocket blood sugars in your body it’s better to exercise rather than over eating. neuropathy is a Feeling of Numbness, tingling, in the extremes.it is a nerve disorder as a result of diabetes. It is a symptom of diabetes that grows progressively as time goes by since excess sugar does damage the nerves. Regular checking of sugar levels within standard range helps to alleviate any further damages to the nerves. blood circulation is often affected when sugar levels are extremely high in the blood. When you are diabetes it’s very important to treat wounds and cuts as soon as possible. High levels of blood glucose as a result of diabetes , with time leads to poor circulation of blood making it hard for the blood to reach affected areas for skin repair .this leads to the wounds to remain open and unhealed for months leading to fungal infections. Wounds failing to heal are a sure sign of diabetes. Blur vision is one of the symptoms of diabeties.it can be caused by high levels blood sugar. It occurs when fluids are pulled out of your lenses in order to dilute the excess amounts of glucose in the bloodstream. This makes the lenses to completely dry making the eye to be unable to focus resulting to blurred visions. This condition can be alleviated by visiting a physician in time to have the eyes checked and if it’s severe it can be operated. These symptoms do not usually define diabetes but it’s worth having this knowledge since not everybody experience those detailed symptoms. Frequent yeast infections in women.